A mechanic who maintains the White Houses fleet of helicopters has been busted with methamphetamine, after he called the cops while under the influence, thinking his house was being broken into. The high-flying Heisenberg, 30-year-old Cody Haynes, called police to his Florida home on Wednesday night, reporting an armed intruder. When police arrived, Haynes told them that three African-American masked subjects had broken in earlier on and held his girlfriend and the couples young daughter hostage, a police report reads. Agitated, Haynes told police that his girlfriend remained trapped inside with the subjects, but a police search revealed a deserted house with no sign of a struggle. 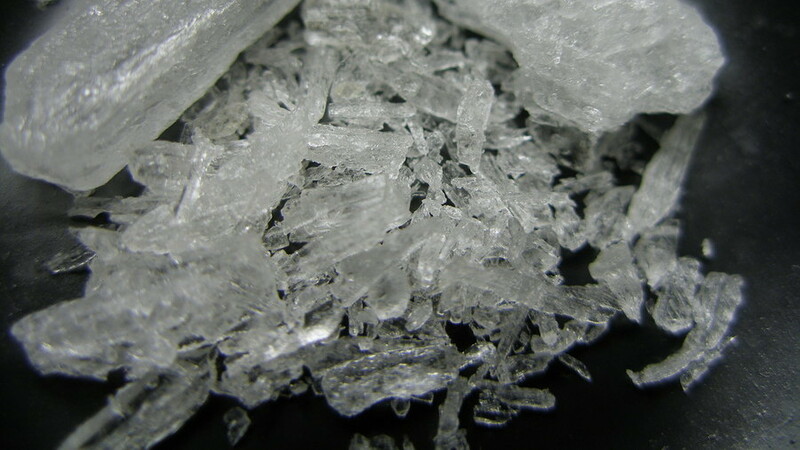 Instead they found a small amount of crystal methamphetamine, a pipe, and a scales, as well as an unidentified pill. Cops noticed that Haynes was sweating profusely, and his breathing was labored. After some questioning, he admitted to smoking meth in the house earlier that evening and was arrested. Haynes girlfriend, Tara Frew, told police that no intruders entered the house, and that Haynes story was the product of a meth-induced hallucination. A Sikorsky spokesman confirmed that Haynes does indeed work at Naval Air Station Patuxent River, the homebase of the presidential fleet program, but could not confirm that he works on that program for sure. According to Frew, Haynes often works in Maryland for days on end, and bizarrely, likes to self medicate his anxiety with crystal meth when he gets home to Florida. Haynes was charged with felony narcotics possession and child neglect, for allegedly smoking meth while caring for his daughter. He was freed on bail after a court hearing on Thursday. She went on to explain that Haynes works as a mechanic for Sikorsky Aircraft in Maryland, earns over $150,000 per year, and has a top secret security clearance due to his work with the Presidential helicopter fleet. How is it that a private contractor can get a top secret security clearance, if it cannot be verified that he worked on any such program for the President of the United States? It is my understanding that all private contractors are thoroughly vetted out and and that only a select few on a need to know basis have a top secret clearance. How is it that a private contractor can get a top secret security clearance, if it cannot be verified that he worked on any such program for the President of the United States? The source for the allegation of a top secret clearance and working with the Presidential helicopter fleet is Haynes' girlfriend, Tara Frew. Haynes girlfriend, Tara Frew, told police that no intruders entered the house, and that Haynes story was the product of a meth-induced hallucination. The breathless reporting of "White House chopper mechanic busted with crystal meth after calling the cops on himself," is by Russia Today. By this breatheless reporting is Russia Today affiliated with Pravda? Vlad's chopper mechanics drink lots of Vodka! Most definitely NOT. Pravda was formerly the official newspaper of the Communist Party in the USSR. After the breakup of the USSR, Russian President Boris Yeltsin sold Pravda to a Greek business family, and their private company Pravda International. RT (shortened from Russia Today) is a Russian TV network funded by the Russian government. RT America is registered with the DOJ as a foreign agent. Is that according to the doper's girlfriend?